Sugar Shack open at River Trail Nature Center! Image via River Trail! Spring is here! Spring is here! Monday we were marveling at one of the first crocuses opening up at my daughter's school. Bring on the brilliant blooms! Looking for some fun this weekend? There are plenty of fun events to choose from--many outside! March 20-22 Chicagoland Pet Expo, Arlington International Racecourse, Arlington Heights, animal encounter, dog and cat shows, reptiles, birds and more, plenty of products and services to check out, admission $10 per adult, $5 per child, parking is $7, $1 off of adult admission with online coupon, Fri 1-9, Sat 9-6, Sun 10-5. Buy one, get one free admission Friday 5-9. Maple Fest at Red Oak Nature Center in Batavia (March 21 ONLY): Learn how animals and people have tapped trees for their syrup. Watch how sap is turned into syrup. Program starts on the hour at 9AM, 10AM, 11AM, 12PM and 1PM. The event is free but their will be maple themed items for purchase. Groups of 10 or more are encouraged to call to register otherwise no registration needed. 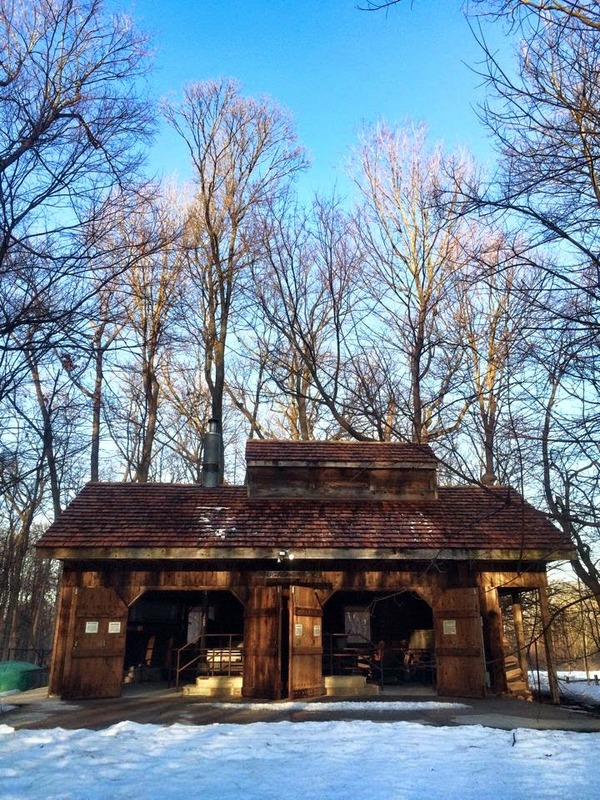 March 21 Sap's Rising at River Trail Nature Center in Northbrook: Take a walk in the maple forest as winter is coming to an end and learn about the maple sugaring process. The event runs 1:30PM-2:30PM both days and is free. Syrup Tree and Silver Dollar Brunch at Morton Arboretum: Take a hike to learn about the history of maple tapping and how it is done. The hike is followed by a pancake breakfast. There are various times Saturday and Sunday but you MUST register. CALL TO SEE IF YOU CAN STILL REGISTER: 630-719-2468. Fees are $18 per member, $25 per nonmember and include Arboretum admission. For families with children ages two and over. March 21 Making Butter Like Laura Ingalls, Norton's U.S.A., Barrington, 11:30AM and 2:30PM, Norton's U.S.A. is celebrating Laura Ingalls Wilder this year and will be demonstrating how to make butter at home, the demo is free and there will be tastes! How Laura made butter in her day will also be discussed. Plus Norton's always has other little nibbles to taste as well! Maple Syrup Celebration at River Trail Nature Center on March 22 ONLY: Check out the evaporator in action. Maple syrup samples, tree tapping, puppet shows, animal encounters and more. The free event is from 11AM-3PM. Get Sticky! Maple Syrup Sunday at Fullersburg Woods in Oak Brook: Take a short 30-minute stroll in the woods while learning how map sap is turned into syrup. Event runs March 22 10AM-3PM and costs $10 pp. Register at 630-850-8110. Also check the Pet Expo, Maple Syrup Hikes, Syrup Tree and Silver Dollar Brunch, Gem Mineral and Fossil Show, Lego Display and Malott Japanese Garden Spring Weekend from above.